Adding personal touches to your house identifies you as a person and homemaker. Nothing makes a house feel more like a home than the personal touches. This includes home décor that reflects your style and taste, family photos, and objects that have special meaning for you. Having a home that reflects exactly who you are will feel relaxing and inviting to you. It is simple to create this type of oasis in your own house with a few simple tricks. 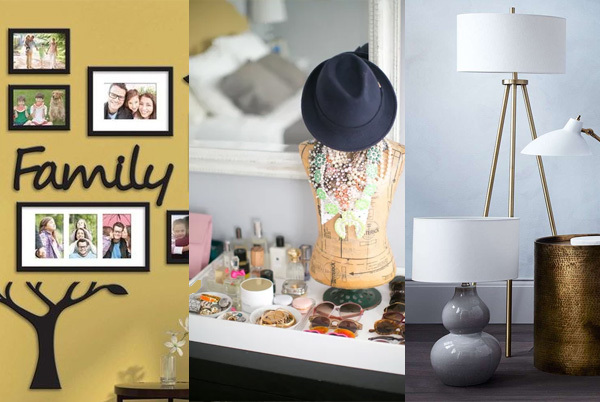 Family photos are the best and easiest way to add instant personality to any room. You can place special pictures of your loved ones on end tables or make a grouping of several different photos on the mantle or hung on the wall. If you begin to feel like your family photos are random and do not coordinate with one another, try painting all of the frames the same color. Hang them all together in one area. As long as the outside of the outer frames form a square or rectangular shaped grouping, they will look wonderful together. Many of us collect trinkets over the years. This could be small gifts, souvenirs from annual vacations, or just figurines and collectibles that you have found appealing. These items can look like clutter after a while, but this doesn’t mean you have to box them away. Keep them out where you can enjoy them throughout the year, but display them in unique and creative ways. Use shadow boxes, decorative shelves, or curio cupboards to keep everything corralled. Use lighting to provide function, highlight certain areas of the home, and show off your decorating style. Chandeliers can portray elegance while lantern fixtures provide a rustic appeal. You can find all sorts of lighting ideas at your local home improvement store or online from merchants such as Lantern Masters, Inc. Remember to include task lighting as well as accent lighting into your design. The accent lighting can be used to draw attention to your photo galleries as well as curio cupboards and shelves you have created. Once you have added all of these special touches that will allow your home to reflect your personality, taste, and style, you will have an oasis that will feel relaxing and inviting. Family photos and trinkets tell the story of your life. Display these with pride to make your house feel like a home.